This event was on September 25, 2018. This month with our Conversation Series we will be exploring how to bring children into family disputes by giving them a voice in the decision-making process. Join me at 8.00 am on Tuesday 25 September when I will be discussing this vital and fascinating topic with my guest Con Economou. Con has a long history of working in this space from many different perspectives, most recently in the courts as a Child Consultant preparing Family Reports, and now in private practice with counselling, psychological support and family therapy. He works with families at all stages in the separation process, but has recognised the need for support for families in the court process after the Family Report, where they need more long term and intensive work. I will be also seeking to explore relevant issues for child inclusive practice as an FDRP, and the obligations of ICLs to interview children.  My practice has also included families struggling with allegations of estrangement, resistance and alienation, so I hope to talk with Con about these challenging areas as well. 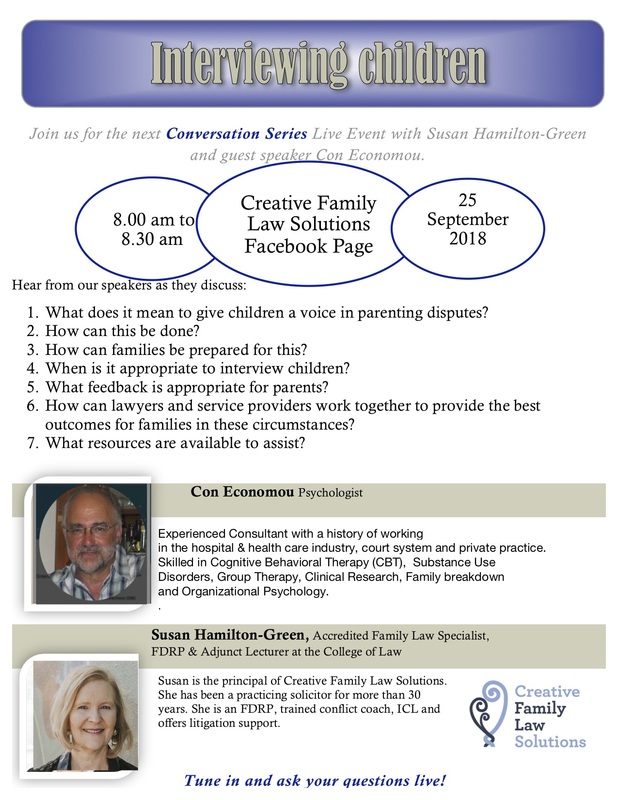 Join us on the Creative Family Law Solutions Facebook Page for our live streaming of this conversation at 8.00 am on 25 September, or catch the post later on FB or this website.